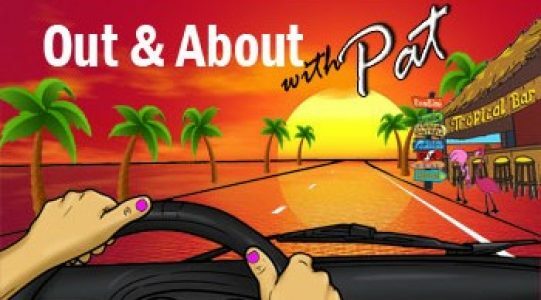 Out and About With Pat – Come join me on a fun exploration of Southwest Florida! Come join me on a fun exploration of Southwest Florida! Duval’s Seafood Restaurant, Sarasota, Fl. Oh yeah, the food is good too..lol! They serve a pizza with a 4th generation recipe. Meatball sliders are one of the favorites as well. Reasonably priced and located at 2219 60th Ave E, Ellenton, Fl. 34222. It’s on your way to the outlet mall..just saying!! Bar Fly Saltwater Grill, Safety Harbor, Fl. What a gem! Friends took us to the Bar Fly Saltwater Grill on Main Street in Safety Harbor and what a treat! The Bloody Mary Bar is worth the trip itself, it looks like a whole meal in a glass! The steamed bucket was amazing, with snow crabs, oysters, and jumbo shrimp. And the Smoked Fish dip was fantastic. Prices are reasonable and you have a choice of inside or outside seating. We went on a Sunday and waited a little, but it was so worth the wait! We took the time to walk around the town a bit. Don’t be in a hurry when you go, you will be there a couple of hours! The Safety Harbor Resort and Spa is directly across the street from the Bar Fly – make sure you walk through and make plans to revisit for their Sunday Brunch! “The Baranoff Oak” stands tall in Safety Harbor, Fl. Visit Safety Harbor, Fl., to get a closeup for yourself. Pictures just don’t do this tree justice! A beautiful sunset over the Gulf of Mexico. It doesn’t get much better than this my friends! Sharky’s on Venice Beach is one of our favorite places to go! Food is amazing, sunsets are beautiful and the owner, Jason, is friendly and welcoming to all his guests. Ask about joining Pier Pals! Spend a day on the beach and walk over to grab lunch or stay for dinner and watch the sunset. Pier Pals is a program where you go once a month, get invites to guests appreciation dinners and a no-wait to get in! If you are interested in a more formal atmosphere visit Fin’s at Sharky’s.